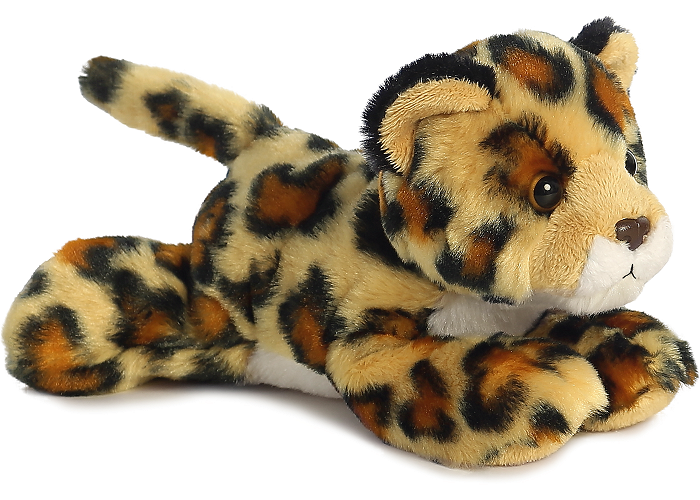 Meet Amazon, this adorable plush jaguar from the Aurora World Mini Flopsies collection. 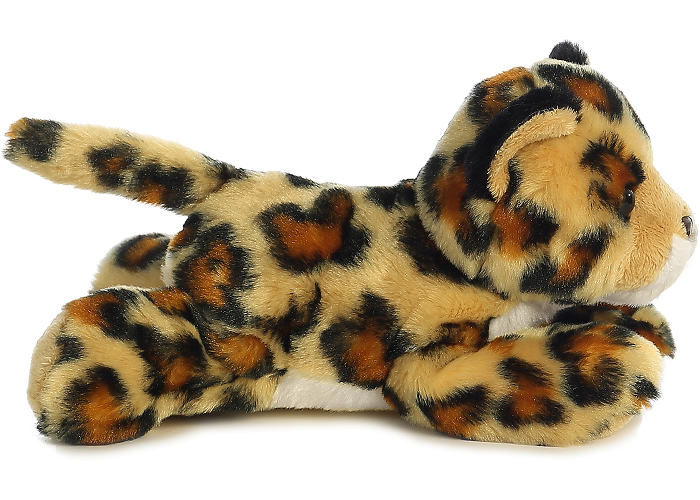 Amazon's understuffed body is wonderfully huggable with soft spotted fur, cream tummy, brown nose, and warm golden eyes. 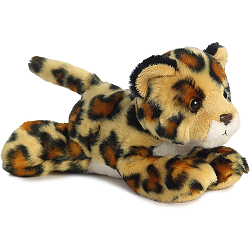 Ready for hours of imaginative fun, this jaguar stuffed animal is the perfect size for take along adventure. Fun Facts about Jaguars: It's easy to confuse jaguars with leopards, because of their spots. But pound for pound, jaguars are the most powerful of all big cats and they're the largest wildcat in the Americas. Jaguars weigh 100 to 250 pounds (45 to 113 kg) and are 5 to 6 feet (1.5 to 1.8 m) long. They're mainly found in remote regions of the Amazon Basin, but there have been confirmed sightings recently in the Southwestern United States. With a stocky build and crushing jaws, jaguars are fierce felines with a roar like a deep, throaty cough. Unlike most cats, jaguars love water and are excellent swimmers. 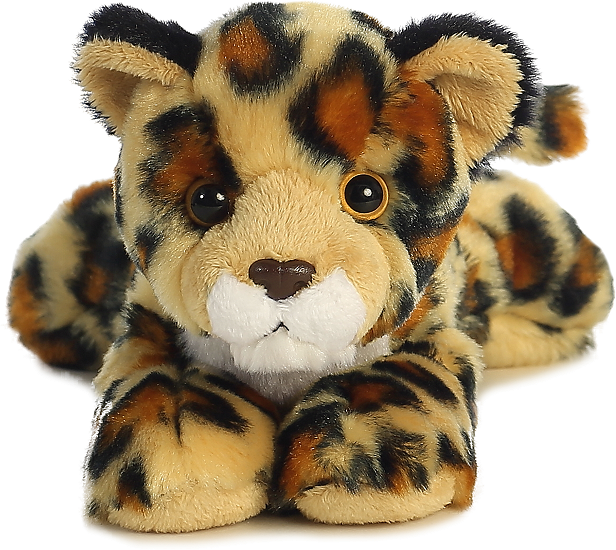 Lexi Leopard has super-soft spotted fur, white accents, pink nose, and warm brown eyes. Plush black panther Onyx has super-soft black fur, beautiful green eyes, and a sweet face.